The correct spelling of this name is CORNELIA GRACCHUS. Cornelia Gracchus was married to Tiberius Sempronius Gracchus, a Roman consul (elected public official). They had twelve children, three of whom survived childhood. When her husband died in 154 B.C.E., Cornelia dedicated her life to educating her children and advancing their political careers. 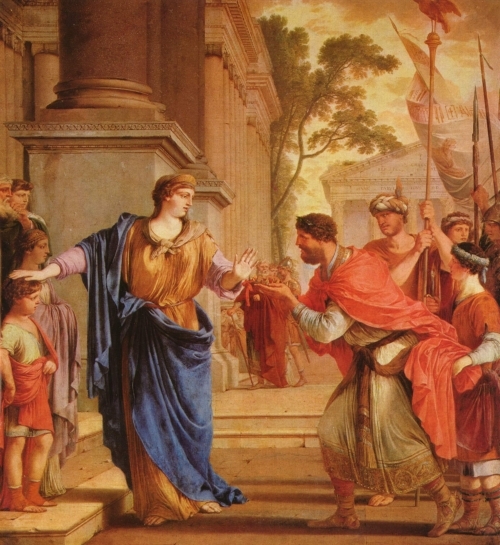 She declined an offer of marriage from King Ptolemy VIII of Egypt, an act which consolidated her posthumous reputation as an exemplary Roman matron who followed the tradition of remaining loyal to a dead husband.